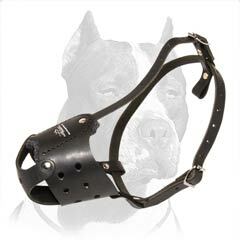 Protect your Pitbull from street fighting. Wear our Everyday Leather Muzzle. 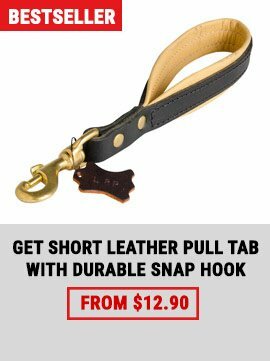 It is durable because it is made of high quality materials. 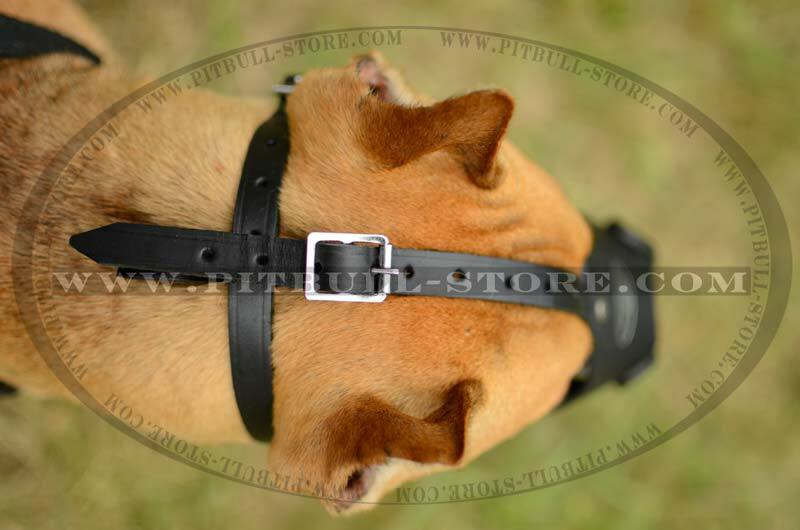 It is stitched and riveted for extra durability. You want to know more about it? The design of the muzzle was created to restrain some dog’s actions. 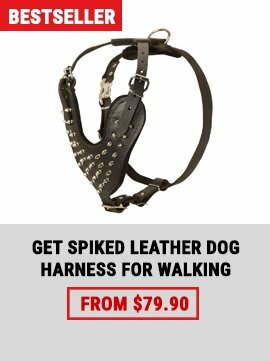 For example, your dog won’t be able to pick up things from the ground, to bite anybody, to fight with other dogs. If you wear it in a proper way, your Pitbull won’t be able to take it off. 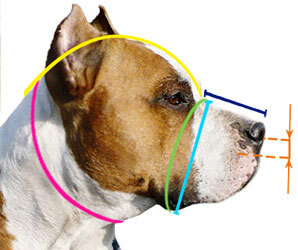 There is a hole for the dog’s nose that facilitates dog’s breathing. 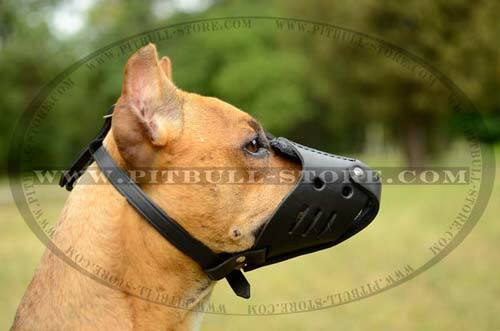 That is why this muzzle is good for everyday walking in crowded places. 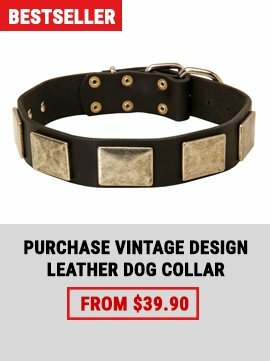 The materials that are used are strong and non-toxic. The muzzle won’t hurt your dog’s skin (It doesn’t rub the skin or cause any allergy). 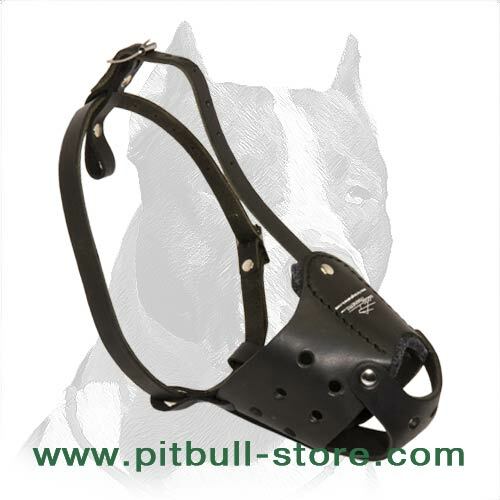 The muzzle was also stitched and riveted that prolongs the service life of the product, in case if you use this muzzle properly. 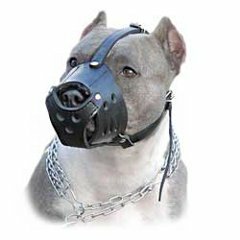 Don’t leave your dog muzzled for a long time. Some injuries may happen.